Okay its 2013 and I had better make my first blog entry before the first month is over. As usual the year has begun with a furious pace. Annually I attend the Affiliate Summit, a marketing convention primarily for online entrepreneurs. More importantly the 4 day venture to Las Vegas is filled with pats on the back for a job well done and celebrating with friends. For me I use it to catch up but to start executing the plan for the coming year. I also use it to find inspiration. Inspiration for work and for life. The convention has had a great track record for me when it comes to inspiration and motivation. Last year there was Eric Thomas, the hip hop preacher who found inspiration and desire to motivate others to stand up and make a difference. 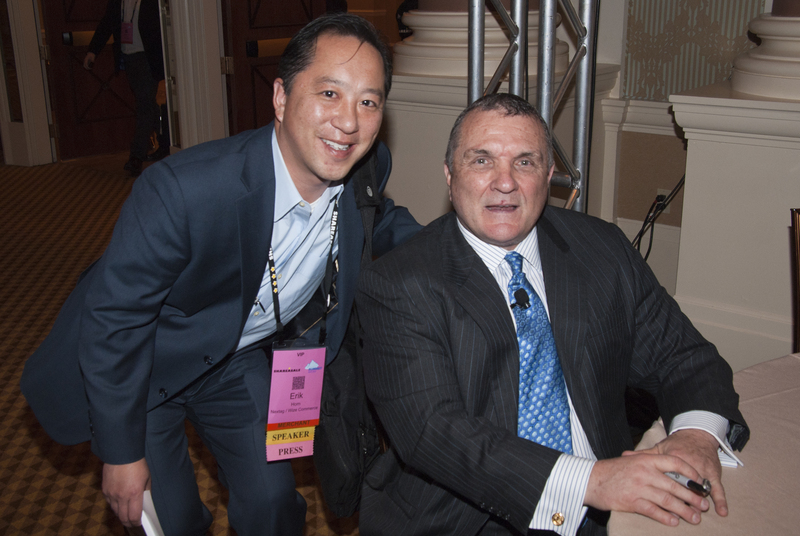 This year it was Rudy Ruettiger, the real life story of a nobody with a dream, a lot of heart, and a strong belief in himself. These Rocky-esque stories remind me of my own dreams, my own desires, and my own passions. Don’t give up on them, don’t forget them, and finally don’t forget to act on them when you have the chance. 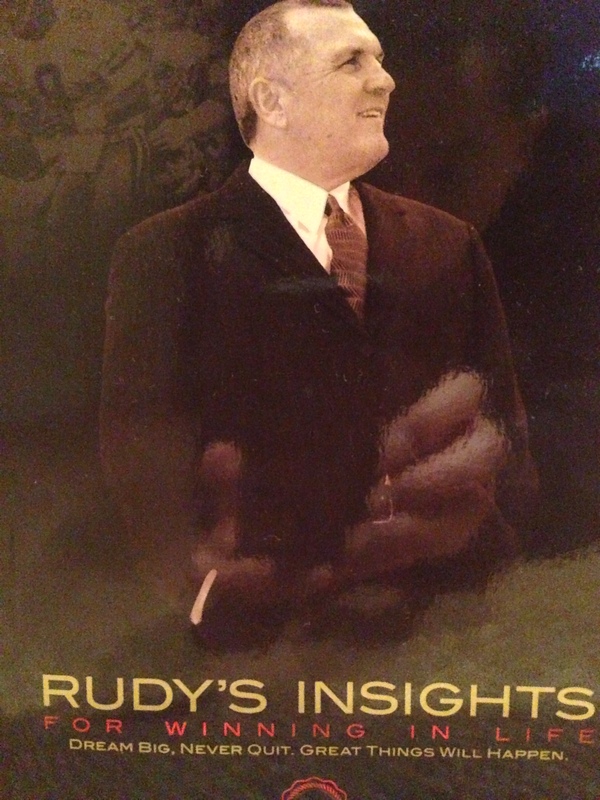 Although I had seen the movie version of Rudy’s story many times, I was still moved. Some might think it cornball, but he is where he is and we were paying to listen to him. Afterwards I told Rudy thanks for reminding us all to dream. He grabbed my hand and said, “ Dream BIG, but more importantly dreams can’t come true if you don’t do something to make them happen”. Well it has been a couple weeks and my promise to keep writing has been nagging at me. I have all this content and haven’t made the time and effort to start putting the fingers to the keypad. Part of it is my work which has been so overwhelming that 5 hours of sleep each night almost seems like too much. Things have to change and I will need to set some time aside, find personal inspiration, and make it work. So here I am on a plane from Seattle to San Francisco with a crying baby screaming in my ear over my ipod as I am writing my first entry of the year. Why now? Why not work on a work plan that I need for work? Well as I sat in the airport with my colleague at the airport for a dinner, I found myself seated to another inspirational figure in my life, Dave Dravecky. Here is a guy who had a great gift, a God-given gift, and then it was taken away from him by cancer. 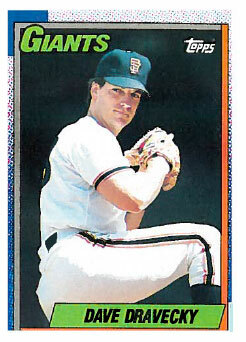 My son never saw the left-handed pitcher of the San Francisco pitch before he lost his arm, but I’ve told him the story of that day I watched Dave’s arm snap as he threw his last pitch ever. My son is a left-handed pitcher in San Francisco’s little league and despite having about 50 bobbleheads on his shelf, the one that sits right there on his desk is Dave Dravecky’s. As he cradled his iphone in his right hand talking to his grandchild his wife glanced over at me and I we started talking and I told her how I thought she was married to a great man. Today Dave is employed by the San Francisco Giants marketing team and was in Seattle to help give the Hutch Award from the Hutchinson Cancer Research Center to Barry Zito for his year where he “exemplified fighting spirit and competitive desire”. The Giants organization is a leader in online sports and community marketing and their work with Dave and the community is such a great example of people who have gone beyond their excellence on the field and used it as a platform for making the world a better place. Dave got off the phone and reached over to shake my hand and talked to my colleague. I told Dave how much he has touched people and in different ways. When my wife was recovering from Breast Cancer, I told her Dave’s story. Dave has never used his loss of his arm as an excuse. He has never sounded bitter in public about the bump in the road life gave him. He has said it is an opportunity and a message to everyone to have faith. Dave was also a past winner of the Hutch Award. Dreams. Faith. Action. And this is how my story begins in 2013. P.S. 80 minutes into this flight and the kid is still screaming up a storm. I watched our kids count up thier candy tomorrow and it can only warm a parent’s heart to hear them not fight and to see our oldest combine his candy with the younger child’s smaller batch and agree to share the candy evenly without even asking. You wonder if society would be better off if we left it up to the kids. I’m not considered calendar wise to be a “Baby Boomer” but I’m just on the edge. They say as a whole that this generation will not do as well as their parents. I agree. I’m even more worried about my children’s generation. How will they succeed? How do we give them a chance? With the financial markets seeing one of the biggest drops in history, we are learning to guard our pennies yet enjoy life as best we can. I have to admit at looking back at it, it sure is inspirational….to all of you out there looking for a reason to get up and take action, I sure hope you all find that motivation. I am so glad my wife has found one for now.